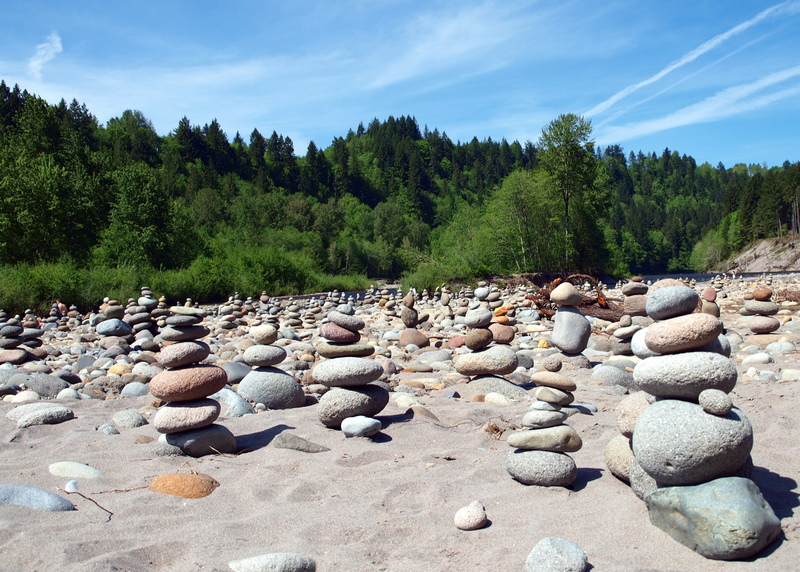 Adam, thanks for posting the photo of the rock cairns at Oxbow Park. I saw them yesterday, and we were wondering how they got there. We figure some people from Camp Adams made them? Can you explain these? Hi Marian, I’m glad you liked the photo 🙂 I’m not sure who is responsible for the large display at Oxbow. As far as an explanation goes…..There are many reasons for rock cairns. They can be used to mark trails, pass the time, an ancient art form, etc. Some people love them and love to make them. Other people think they distract from the natural beauty and remove them when they see them. I understand and respect both views. I took the picture because I had never seen a sight quite like that, and was rather struck by the vastness of it. I like all the photos of yours that I have seen, and the cairn “colony” was so unusual, especially since I saw them myself at Oxbow the day before yesterday and was also wondering how they got there. Thanks for writing. Maybe somebody at Oxbow knows…but I might call and might not.